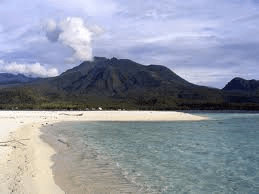 The Island of Camiguin is a perfect package and a real ecological tourism destination that it has been identified by the Department of Tourism as one of the top 25 tourist destinations in the Philippines. It is an island which has so many tourist attractions ranging from natural, historic and scientific to religious which are only minutes from each other. In the island you will find hot and cold springs, waterfalls, white sandy beaches, lagoons, white islets, breathtaking rain forests, a walkway to the top of an old volcano, ruins of an ancient church, coral reefs and many other interesting sights and landmarks. The main attraction of Camiguin is the sheer concentration of its natural wonders and its residents who are simple, genuinely friendly and hospitable. It is a dream island where travelers can simply revel in the marvels of nature without too many artificial distractions. One cannot really help fall in love with the island that when visitors leave, they usually would feel that the hardest thing that one has to endure in coming to Camiguin is when the day comes to leave. 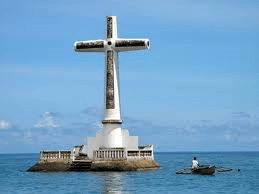 also known as Medan Island, it is one of the most popular sites to visit in Camiguin. This small inhabited white sand bar, with picturesque Mt. Hibok-Hibok and Mt. 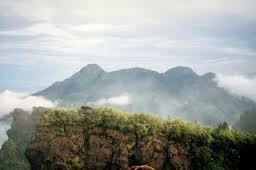 Vulcan as its backdrop, is located two kilometers across from the beaches of Agohay and Yumbing. The island, with a shape that differs depending on the tide, is ideal for swimming, sunbathing, snorkeling, and shell collecting. There are motorized bancas at the CAVES Resort or at the PARAS Resort which may be hired to ferry visitors to the island. When there are just a few visitors and you don’t intend to stay too long at White Island, you can arrange for the bancas to wait for you before ferrying you back. Most of these bancas can accommodate as much as six to eight passengers. The best time to see White Island is early in the morning when the sun is just rising above the horizon. Since there are no trees, vegetation, and structures on the island, there is no available cover against the heat of the sun. It is advisable to bring along whatever you have to provide shelter from the hot sun such as an umbrella, headgear, sunglasses, sun-tan lotion, as well as food and water since. Lying 20 feet underwater in Barrio Bonbon, Catarman lies the sunken cemetery, the remains of a volcanic eruption. 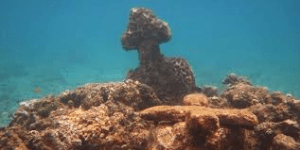 Coral encrusted tombstones can still be explored by snorkellers and scuba divers. A huge cross was installed in 1982 to mark the community cemetery which sunk during the 1871 volcanic eruption. A fluvial procession usually organized by the townfolk of Barangay Bonbon is held to honor the sunken graves of their forefathers on the month of November. Islanders bring flowers and candles as an offering to those who once were buried there. For those who want to take a closer look, there are bancas that can be rented to take you to the site of the cross. 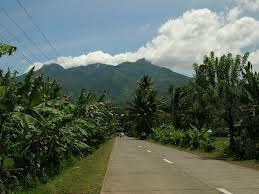 Five kilometers southeast of Mambajao at the foot of Mt. Timpoong. Waterfalls which measure about 250 feet high cascades to a rock pool surrounded by ground orchids, wild ferns, trees and boulders. Ice cold water provides an ideal summer splash to bathers and picnickers. The falls tumble down into a green pool, ideal for a refreshing swim. Giant ferns decorate the surrounding land, carpeting for space with huge trees and dropping vines. It is an ideal place to cool off during hot and humid days. Katibawasan Falls is one of the treasured gifts nature has bestowed on the island of Camiguin. Catarman Church Ruins – famous for the name Ruins of Gui-ob Church located in Barangay Bonbon, 10 kilometers from the center of Catarman town. What remains are ruins of adobe walls of the church, belfry and convent that are testimonials to the devastating 1871 earthquake and eruption of Mt. Vulcan which wiped out the town of Catarman established earlier as a Spanish settlement in 1697. During the eruption, hundreds of houses and the church crumbled into pieces when the ground rolled and broke into deep crevices. 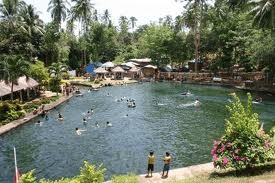 Ardent Hot Springs – The resort is located six kilometers southwest of Mambajao in Esperanza, Tagdo, Mambajao and is the most popular of Camiguin’s hot springs. The hot spa at the resort is a natural pool of about 40 deg C coming from the bowels of Mt. Hibok-Hibok. It has a four-tiered pool of varying depths and warmth. the hottest and shallowest is on top. There are cottages, a restaurant, bar, coffee shop, and dormitory facilities provided for local and foreign tourists. The ideal time for swimming is early morning or late afternoon. Because of the hot temperature of its pools, the suggested length of bathing should not be more than 20 minutes. Dipping in its hot water is a best treatment for any therapeutic ailment since it contains sulphur, which is said to be a medicinal element that may cure some illnesses. Picnic huts, cook-out facilities and restrooms have been put up to accommodate the increasing number of visitors. 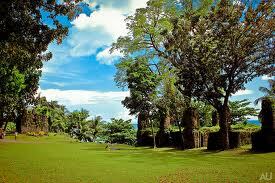 The resort, with its lush vegetation, offers the serenity and restfulness of quiet and peaceful surroundings. Sto. 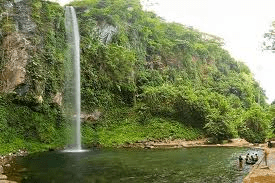 Nino Cold Spring – Four kilometers north uphill of Catarman proper with a pool measuring 25 m by 40 m and 1/2 meter deep of cold spring water sprouting from its sandy bottom. The area has stores, picnic huts, cook-out facilities and restrooms for picnickers. The water flows into smaller pools built for children who could not swim in the bigger eight-foot deep lagoon. There is a nominal fee that has to be paid to enter this cold spring.